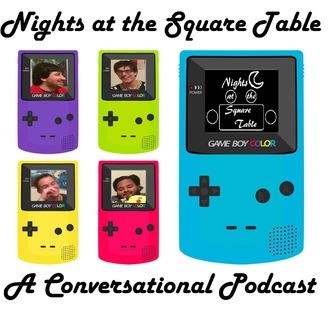 We are Nights at the Square Table! We are a conversational podcast that brings four like minded friends into a room to discuss anything we feel like talking about. This topic we show is special, we are outside and recording in a tree house. The 4 topics we have are 1. Ending discrimination 2. Super Villain Crimes 3. Most Feminine Thing We've Ever Done 4. Nonsense/Family Memories. If you enjoy the content we produce please Like, Subscribe, Review, Share, anything you can think of to support us. 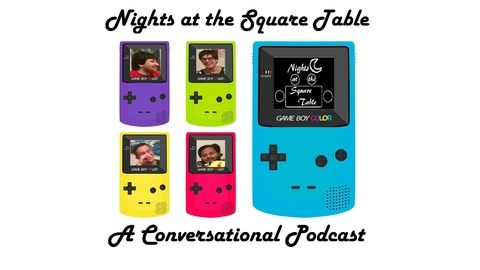 Any little bit will help:) Find us on YouTube at https://www.youtube.com/channel/UCKH6CJFEijbxBAD1RG87bow Here's our website link: http://nightsatthesquaretablepodcast.buzzsprout.com/ Also check us out on iTunes at: https://itunes.apple.com/us/podcast/nights-at-square-table-converastional/id1071378481 Again please Rate and Review on iTunes! Also Find us on Google Play and Stitcher!